UPDATED: Thu., June 8, 2017, 6:04 p.m.
ANNAPOLIS, Md. – An attorney for a man convicted of killing his high school sweetheart, and whose story is at the center of the popular podcast “Serial,” argued Thursday that Adnan Syed deserves a new trial. C. Justin Brown argued that his client’s trial attorney, the late Cristina Gutierrez, provided ineffective counsel when she failed to cross-examine the state’s cell tower expert about the reliability of location data that placed Syed near the burial site. He also contends Gutierrez failed to pursue an alibi for his client by calling Spokane resident Asia McClain Chapman to the witness stand. McClain Chapman said she saw Syed at the library in the town of Woodlawn, Maryland, around the same time prosecutors say Lee was killed and that Syed couldn’t be the killer. “I haven’t seen a single case in which an attorney failed to contact an alibi witness in which deficiency was not found,” Brown told a three judge panel of the Maryland Court of Special Appeals, the state’s intermediate appellate court. Brown also told the judges there is a duty to investigate an alibi. Judges on the panel repeatedly asked about the lack of following up with McClain Chapman. Thiru Vignarajah, special assistant attorney general arguing on behalf of the state, said it was reasonable not to seek out McClain Chapman, because it was “a deviation” from an alibi Gutierrez was seeking. He said she was focused on an alibi placing him at the school, not the library. “It’s the kind of thing that the defense attorney would have to make a judgment about,” he said. Shamim Rahman, Syed’s mother, attended the hearing, along with Rabia Chaudry, a family friend. “He’s in good spirits, and he’s patient,” Chaudry said. A lower court judge last year vacated Syed’s conviction and ruled that he deserved a new trial because his original attorney failed to cross-examine a key witness. Prosecutors appealed that decision to the appellate court. The court will issue a written decision at a later date. That decision could later be appealed to the state’s highest court, the Court of Appeals. 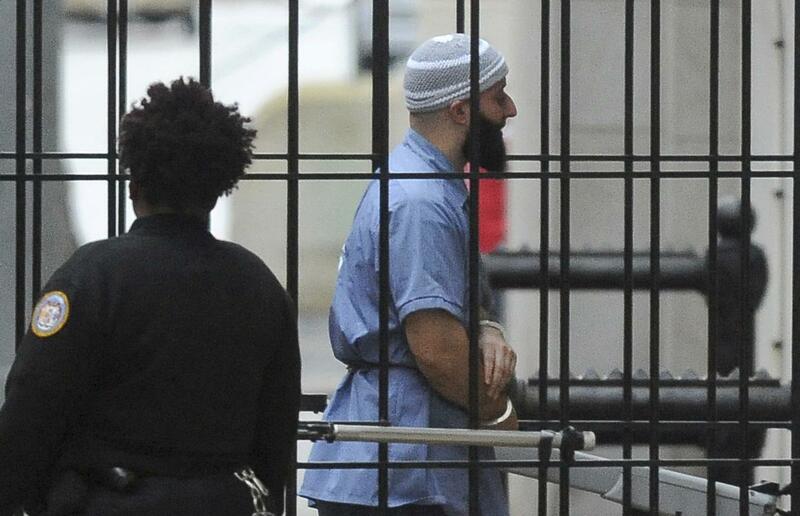 Syed, who remains in prison, did not attend the hearing. No witness testimony was presented. Syed was convicted in 2000 of murder in the death of his high school girlfriend, Hae Min Lee, and burying her body in a shallow grave in a park in northwest Baltimore. He was 17 at the time. Syed’s story was widely publicized in the 2014 “Serial” podcast, which cast doubt on his guilt and inspired armchair investigators to dig into the case and unearth new information. It’s Syed’s second attempt at a new trial. Published: June 8, 2017, 5:20 p.m. Updated: June 8, 2017, 6:04 p.m.